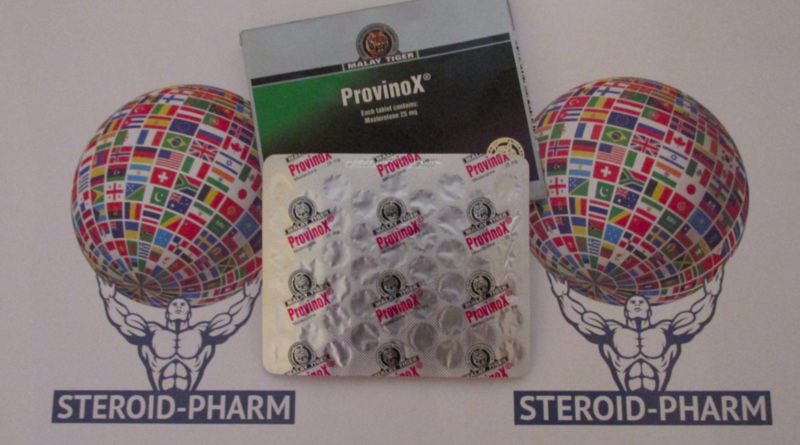 For a qualitative increase in muscle mass, athletes choose Provinox (Mesterolone). It is a hormonal drug, an essential plus of which is moderate activity of androgen and erectile function. In other words, Provinox (Mesterolone) is used by bodybuilders not only to increase muscle mass, but also to solve various tasks posed. The difference between this drug and its analogues lies in the high affinity for the proteins that bind the blood plasma and thus the drug perfectly interacts and complements the other steroid drugs. But even more significant and remarkable advantage of taking the drug is the development of male genital organs, which leads to increased libido as well as potency. Therefore, this drug is actively accepted for medical purposes, if a man has problems with insufficiency of the function of the gonads, a decrease in efficiency and erectile function, and infertility. 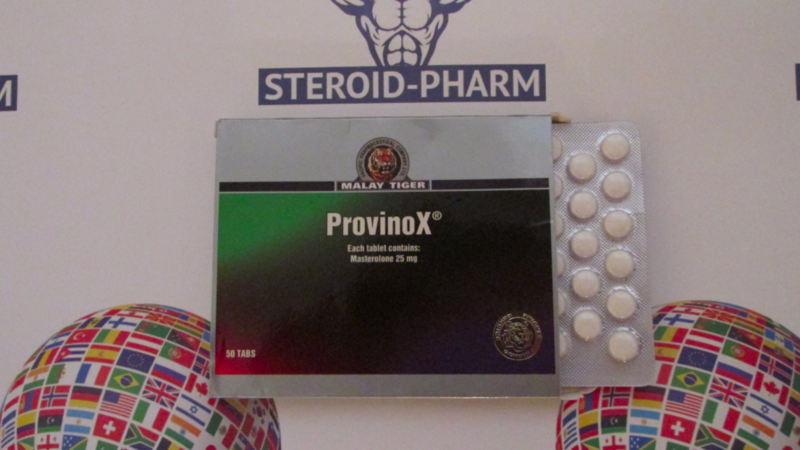 Among bodybuilders and athletes, Provinox (Mesterolone) is used to increase the level of androgens during a diet or intensified preparation for various competitions. Also does not affect the production of the hormone testosterone, but in case of an overdose increases the concentration of free testosterone in the blood. Before you start taking this medication, you need to consult a specialist to help determine the best way to take the drug. This drug can be taken taken only by men. Admission is not intended to stimulate muscle mass gain in healthy men, but also to improve muscle performance during the course. As for the side effects, they differ from the known analogues. During an overdose of the drug can be observed head hair loss, as well as hypertrophy of the prostate. It does not have a high toxic effect on the liver in low doses, so it becomes safe if you take the drug for several weeks. And to prevent possible problems, it is necessary to conduct periodic examinations of the prostate gland. It is important to monitor the health, especially the liver, because after taking the drug in men benign or malignant tumors were found. This is the result of taking hormonal drugs. Only in some cases, bleeding caused by malignant tumors threatened the life of a man. Therefore, you should take this medication very carefully, and if you have any signs of liver enlargement, stomach pain or signs of intra-abdominal hemorrhage, you should consult a specialist and undergo a complete examination, including for the presence of a liver tumor. 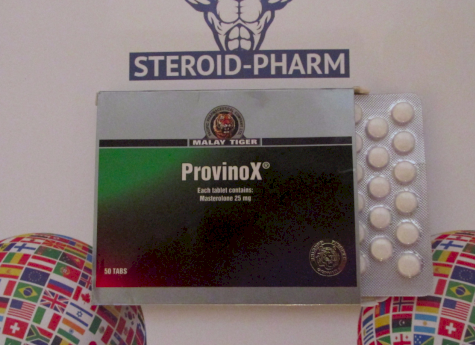 The intake of Provinox should be 50 mg per day; this is the optimal daily dose for men. In this case, the reception of tablets should be divided into two parts, and eat them after eating. An overdose of the drug can lead to undesirable opposite effects. Also, the erection that occurs as a consequence of taking Provinox (Mesterolone) can be painful and just simply inappropriate. In this case, the dosage of the drug should be reduced. The most-the most permissible rate is not more than 100 mg per day. Often, the drug is taken during post-course therapy, although its effect is doubtful, since the active substance does not restore the secretion of testosterone in the blood.